Call the Internet Department Today! (626) 298-8191. 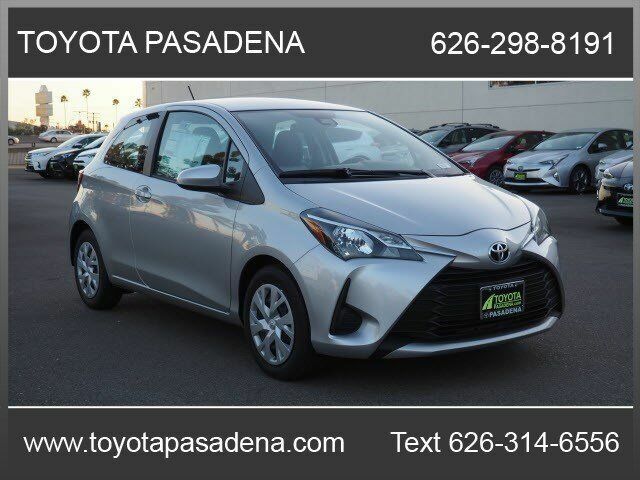 This CLASSIC SILVER METALLIC 2018 Toyota Yaris 3-Door L might be just the liftback for you. This one's a deal at $17,485. Rocking a dazzling classic silver metal exterior and a black interior, this car is a sight to see from the inside out. With Bluetooth included, enjoy a secure, wireless connection for your favorite electronic devices. Music-lovers won't want to get off the road with great audio features CD player and a MP3 player. Don't sit on this decision for long...schedule your test drive today! Contact Information: Toyota of Pasadena, 3600 E. Foothill Blvd, Pasadena, CA, 91107, Phone: (626) 795-9787, E-mail: webleads@toyotapasadena.com.